Exceptionally strong, supremely stiff, ultra lightweight, and incredibly versatile — X7 3D printed parts deliver unparalleled performance without compromise. Continuous carbon fiber parts stand up to the toughest applications. Stronger than 6061 Aluminum and 40% lighter, these parts are perfect for manufacturing equipment, jaws, tooling, and end-use parts. 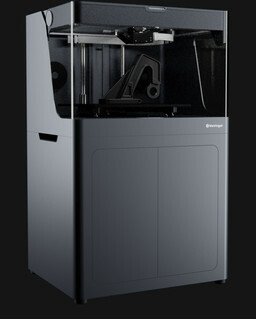 Directly replace machined aluminum with parts straight off the X7 3D printer. Parts printed with Onyx and reinforced with carbon fiber filament, fiberglass, or Kevlar® are work-capable and ready the same day for a fraction of the cost. 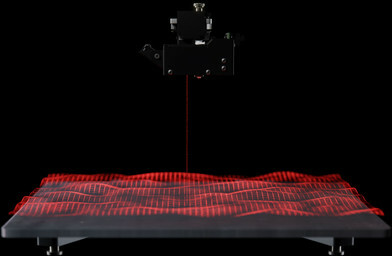 With a built-in laser micrometer, the X7 3D printer automatically scans the print bed with 1µm accuracy to generate a contour map of its surface. By calibrating using the 3D laser scanner to calibrate its measurements with extrusion readings to perfectly set nozzle height and active topography adjustment, the X7 ensures your prints come out exactly how you want them.